The Black Triathletes Association (BTA) is a national organization that promotes the sport of triathlon within the black community. 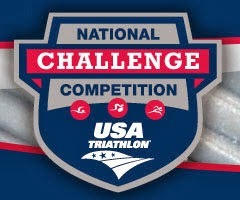 As an Official Club of USA Triathlon, BTA has the opportunity to compete against other multisport clubs in national challenges. BTA also partners with a variety of race directors, retailers and coaches in an effort to bring value to it’s members performance goals. We have an online community of over three thousand individuals that participate, support and/or volunteers in multisport activities. The experience level of our members range from first-timers to USAT Elite/Professional athletes. “My name is Angela Broadway and I’ve been TRIng since 2014. It’s become my passion. setback get in the way of achieving a noteworthy goal. Credentials: I have completed over 20 Triathlons/Duathlons in the past 5 years. I have achieved the podium 3x (2- 3rd Place Athena, 1-2nd Place Athena). I have completed 3 70.3 races (one in a Tropical Storm).